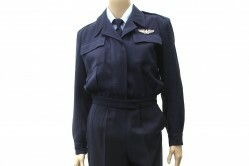 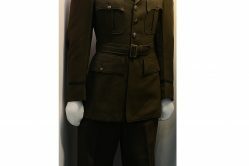 The owner of this WAC service coat was Doris M. Deering, a corporal in the Women’s Army Corps and a Link Trainer instructor at New Castle Army Airbase at New Castle, Delaware, from 1944 to 1945. 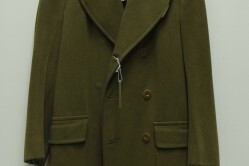 The coat, made by Harold Kolbert Inc., is olive drab wool with two pocket flaps and two lower slanted slash pockets. 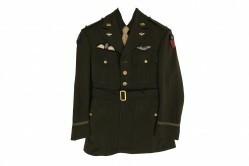 On the shoulders are corporal rank and the Army Air Force patch. 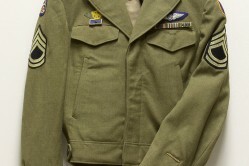 At the bottom of the right sleeve is the U.S.Army Distinguished Unit Citation patch. 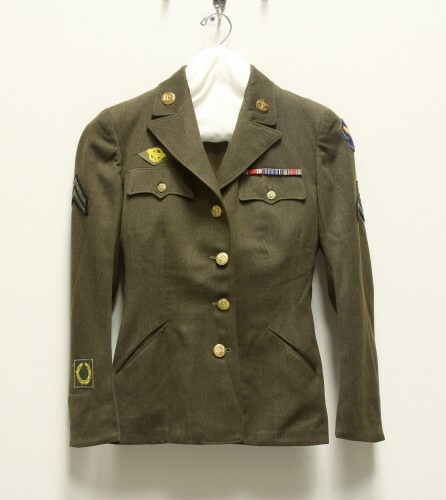 Her honorable discharge patch, or “ruptured duck” is sewn above the right pocket flap.